Implementing video walkthrough tours for marketing may sound like a daunting task. When most of us think of marketing videos, we think of multiple takes, editing, stitching, uploading…. Let’s be honest, it sounds like a time consuming, pain in the neck. First off, we have a FREE video training series that I like to refer to as “Video Walkthrough Tours for Dummies”. The training teaches you EXACTLY what to do to shoot a video walkthrough tour. 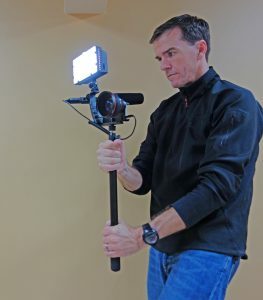 Essentially, the training covers how to shoot a quality video walkthrough tour from your smartphone, from start to finish, without stopping, that keeps the viewer oriented the entire time. On average it takes about 15-20 minutes per property once you get the hang of it. It’s always on you and charged. If not, most people have a mobile means to charge it. It takes equal, if not better, footage than the majority of the devices you would purchase otherwise. You can upload from your smartphone directly to YouTube as soon as you’ve finished recording, so there is no downloading, editing, or any of those other scary words that you associate with video. This is where it get’s good. While you are sleeping, our virtual assistants are hard at work optimizing your videos through our Video Mastery Service. How would implementing video walkthrough tours benefit me? If you have a video walkthrough tour of a property, you can begin marketing it before it becomes vacant. Only show properties to serious inquiries by sending the link to the video walkthrough tour BEFORE driving out to show the property.